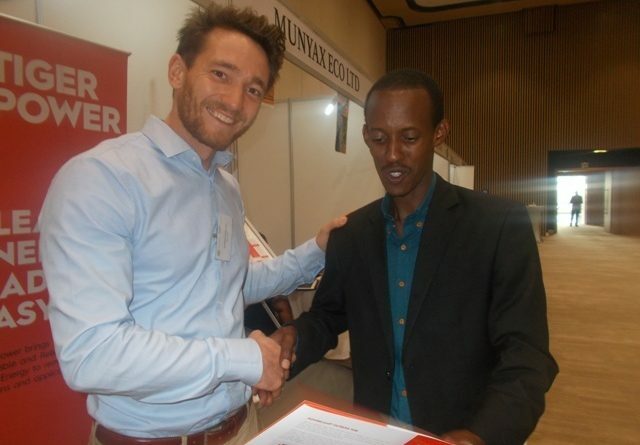 Tiger Power, a Belgium-based solar energy technology company is connecting more Rwandans with off-grid electrification especially those from remote areas by supplying affordable energy. 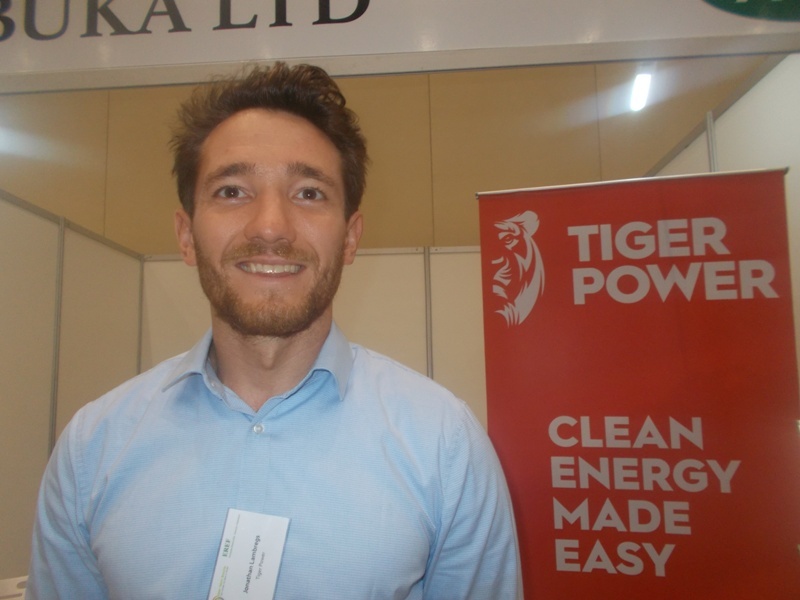 According to Jonathan Lambregs, Business Development Manager of East Africa for tiger power, the company delivers a hundred percent of renewable energy systems and it increases the profitability of the citizens of Rwanda in health and beautiful environment. Lambregs has been in Kigali on Friday, October 20, 2017 participating in Renewable energy for sustainable growth conference, exhibiting the Tiger Power technology and how it benefits rural remote areas. 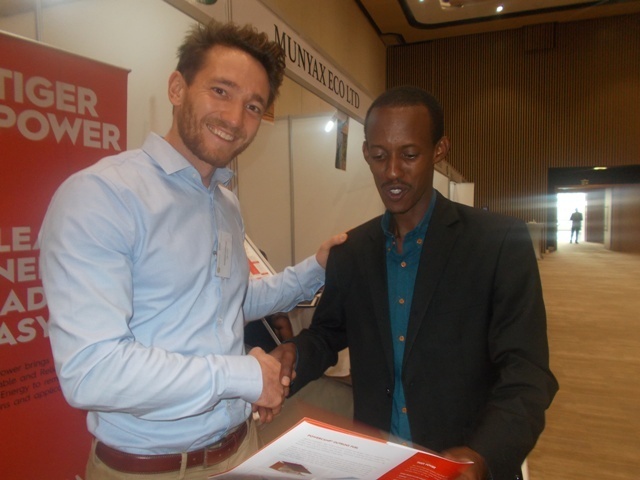 “I have met lots of interesting partners, we provide interesting technologies for people from here in Rwanda and across Africa, we can ensure we provide all technologies here to make lives better,” Lambregs said. The investment idea in Rwanda according to Lambregs is the partnership with Hobuka limited, the solar project for the electrification of sites in Nyaruguru district using tiger power technology. “So we partner with Hobuka, a Rwandan company to provide solar energy, which is very important to us to have good local partner to supply power energy in Rwanda, and it is very important to have solar project technology system here, a lot of people still lack electricity. Our system provides a hundred percent of renewable energy, which is cheap for people and affordable to start,” Lambregs noted. “We develop ‘mini grids’. The idea is to install small electricity plants, which we connect to businesses like hospitals or telecom towers and communities. We combine solar energy with a battery system and a hydrogen cycle, so we can provide continuous electricity to for example villages, businesses and schools.” He explained. 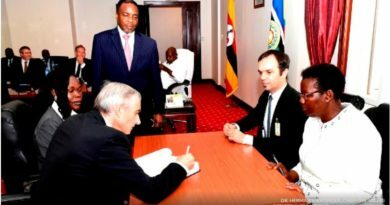 Tiger Power would love to electrify local bank offices and will start building their minigrids in Uganda from January onwards. 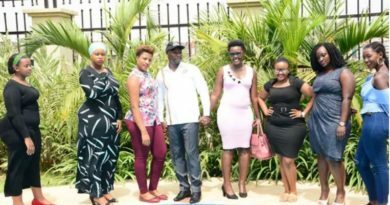 “We will be covering east Africa, Uganda, Rwanda and Kenya, we have so many projects coming up in Uganda and in Rwanda, and we have an installation in India.” Lambregs said. He said that Tiger power is looking at India and East Africa. He noted that they chose to do business in Rwanda as they target many rural dwellers which still lack electricity. 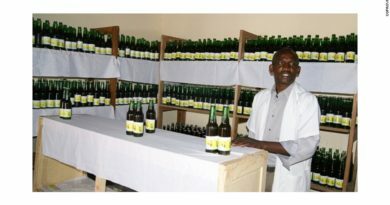 “It is interesting to do business here, because Rwanda is a great country to do business in , but also we think that a lot of people here still lack electricity, we can provide electricity which is good for their households, which is good for businesses.” He added.